As a child, I adored spending time with older neighbors and learning from them. They taught me how to knit, love art, and many other things. In addition to this, I adored Claude Monet. For some reason, I fell head over heals in love with his water lilies. At about the time, I was ready to change my bedroom from rainbow hearts and a set based on Monet’s lilies was out. My parents got it for me for my birthday one year. I bought art to go on my walls and additional books about Monet. These items all went well when I had to write a report in French class during high school. I had Monet post cards, painting replicas, and a variety of books. 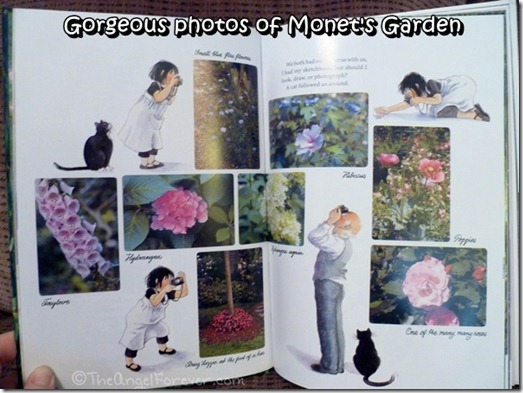 I vaguely recall a book about a young girl going to visit Monet’s Gardens in France. Fast forward to the day I received an e-mail from Sourcebook Jabberwocky letting me know that the book I could visualize in my collection was being released again for the 25th anniversary. Yes, Linnea in Monet’s Garden is back and even more beautiful than ever. 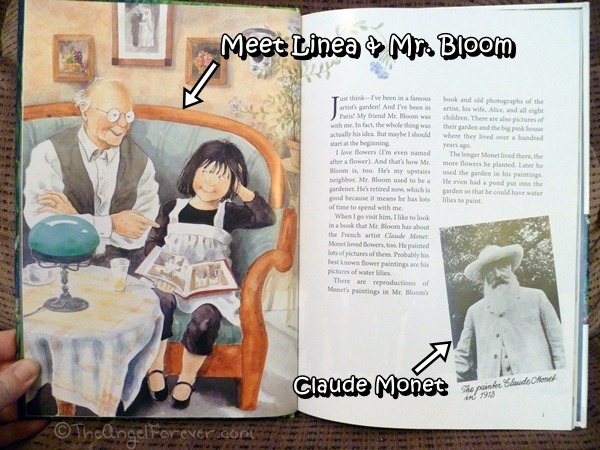 Imagine entering a beautiful world where you meet a young girl named Linnea and her upstairs neighbor Mr. Bloom. Together, the two have bonded over their admiration for the artist Claude Monet. They talk about his life, family, artwork, and more. As they chat, they talk about going to Paris together to visit Monet’s gardens. Bjork tells the tale of their friendship and adventure that is mixed with the beautiful illustrations by Anderson. In addition to this, there are photos of Monet, his work, and more. The story gives readers a chance to learn about the Impressionist art movement, Claude Monet, and Paris. This blend of history and fiction is really a great starting point to introduce children to one of the great artists. 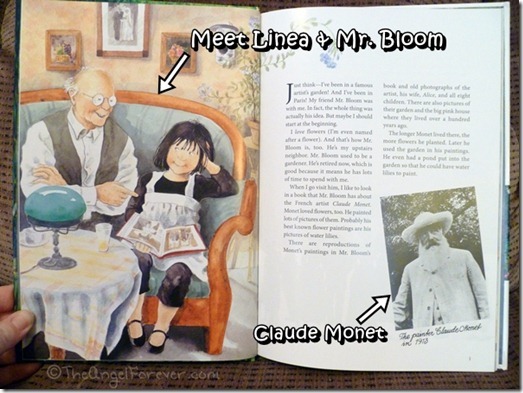 Some of the most beautiful pages and memories of the book are when Linnea and Mr. Bloom are actually in Monet’s garden. 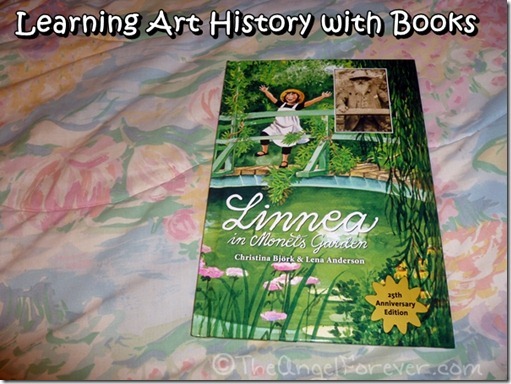 Although I can not find my original book, I know the new 25th Anniversary Edition of Linnea in Monet’s Garden is an improvement. I do not remember the colors being this vibrant, the pages being so big, and the experience being so touching. I am happy to report that my love for Claude Monet and his work has been revived and I look forward to sharing with with my boys. 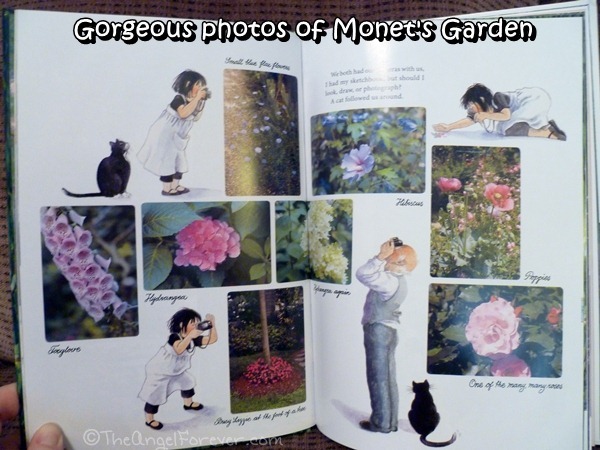 It will also be a great book to share over a break and add in some art projects in the Impressionist style. Sourcebooks is having a blog tour to help celebrate Linnea’s birthday. They are giving away a copy of the book and a Vera Bradley bad to one lucky person who enters the various giveaways. In addition to this, they would love one of my readers to also have the opportunity to take home a copy of the book. Comments left here for the initial entry before 10/25 will also be entered into the drawing for the prize from Sourcebooks. Please be sure to see the rules listed within the Rafflecopter widget for details about my individual giveaway courtesy of Sourcebooks. To enter, please follow the rules above within the comment section and Rafflecopter. 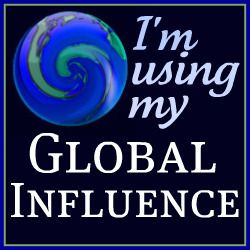 Giveaway begins October 16, 2012 and ends October 24, 2012. You do not have to be a blogger to enter, but must leave a valid e-mail address for me to contact you for mailing address once the giveaway is over. You will have 48 hours to claim the prize. If there is no response, another winner will be selected. Open to US and Canada residents only. 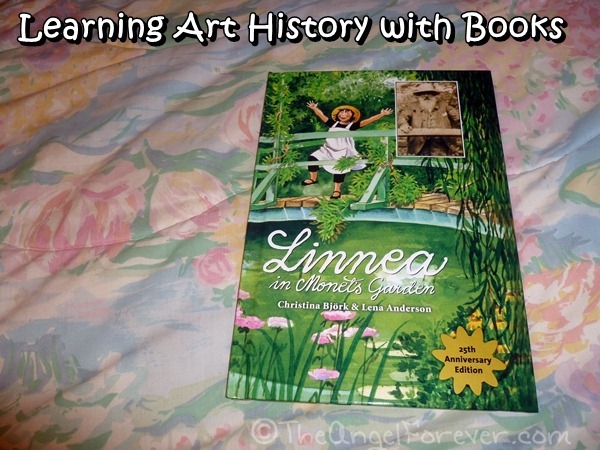 Disclosure: I received Linnea in Monet’s Garden complimentary of Sourcebooks in order to facilitate this review. This giveaway is sponsored by Sourcebooks who will fulfill the prize to the giveaway winner. 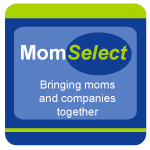 An Amazon Affiliate link is included in this post for the book mentioned. I will receive a percentage of money for the sale should you opt to buy the book through that link. Love this book! When my kids were 7 and 4-years-old, we followed in Linnea’s footsteps in Paris and Givenchy. We have great memories of picnicking in Monet’s garden while my daughter sketched. This is such an enchanting book. So glad to see it back in print :).